Delta Shoal Barge rests in one of the better Florida Keys snorkeling and novice dive sites in the Marathon Florida area. The clear shallow water varies between 15 and 25 feet in depth, with good visibility and mild current. This coral reef is also a good example of spur and groove formation with interesting canyons fanning outward from the sandy shoal. Over and above the stony and gorgonian coral that comprise the reef, a fairly good spectrum of tropical fish along with juvenile and adult game fish live in the area. 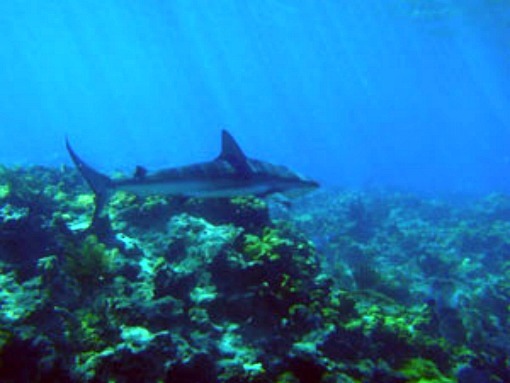 Sport fishermen and spearfishermen are attracted to this area because nearby Sombrero Reef is a Sanctuary Preservation Area. This means Sombrero Reef has developed an exceptional abundance of marine life that can also be large in size. Florida fish don't know when they're in protected or unprotected water. They also have a tendency to migrate. This means that Delta Shoal receives a runoff benefit from it's proximity to the protected waters of Sombrero Reef. This translates into more sport fishermen coming here to pick up the overflow of Florida fish that have migrated into the area. There are no buoys at this coral reef or wreck site. 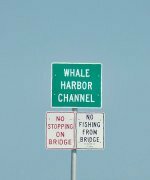 This means Florida Keys divers, snorkelers and fishermen need to be careful of the coral and make sure that they anchor only in the sandy areas of this reef structure. If you're Florida Keys snorkeling or diving the reef and looking for the wreck, it's located at the east end of the shoal. Here you'll find it resting in heavy coral, so caution needs to be exercised at the wreck site, either when anchoring or finning the area. Unfortunately there's very little to no history that can be uncovered regarding the who's, what's, where's, how's and why's of this barge. Perhaps one day more will be learned about this coral encrusted wreck. However, the important thing is that anyone scuba diving Florida Keys has another popular wreck diving site to explore, despite the obvious lack of knowledge surrounding her fate. When in Marathon diving this area you'll also be able to enjoy some excellent underwater photography opportunities as the water is quite clear and there's good variation in the structure and marine life. Another added benefit is that she's located close to several other popular Florida Keys shipwrecks. Nearby is the infamous Ivory Wreck, and within reasonable distance is the North America Shipwreck. After you get done with these Florida Keys dive sites, if you still have time, you can cap off your day at incredible Sombrero Reef and Light. This area has one of the richest selections of Florida fish and marine life, and is another must that needs to be added to your scuba diving Florida Keys things to do list.